Available now, on Amazon, for your cat hating/loving enjoyment. 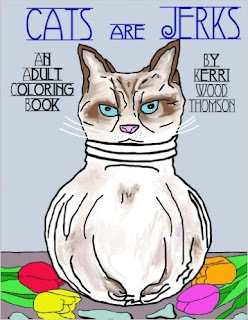 Cats Are Jerks: An Adult Coloring Book makes a perfect stocking stuffer or White Elephant Gift for your cat loving/hating coworker or cousin. Buy 10,000! Please.